Whether it's Sherlock Holmes solving crimes or Sheldon and Leonard geeking out over sci-fi, geniuses are central figures on many of television's most popular series. They are often enigmatic, displaying superhuman intellect while struggling with mundane aspects of daily life. 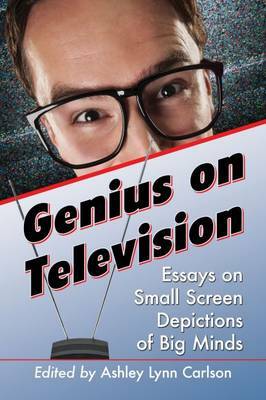 This collection of new essays explores why TV geniuses fascinate us and how they shape our perceptions of what it mean to be highly intelligent. Examining series like Criminal Minds, The Big Bang Theory, Bones, Elementary, Fringe, House, The Mentalist, Monk, Sherlock, Leverage and others, scholars from a variety of disciplines discuss how television both reflects and informs our cultural understanding of genius.